In 1917, Marie Gibson entered her first rodeo competition at the Great Northern Montana Stampede; there she met her future husband, Tom Gibson, a Canadian bronc rider. 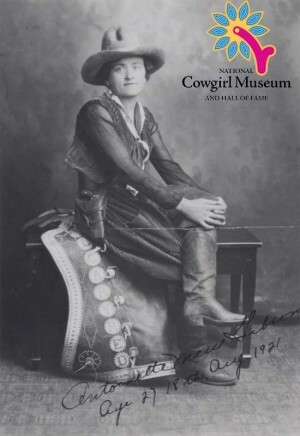 Marie competed in rodeos from 1917 to 1933, participating all over Canada and in every major rodeo in the United States. In 1924, she won first place in Ladies Bronc Riding at Cheyenne Frontier Days. She continued to win or place in rodeos throughout her career. In 1927 she won her first World Championship in Ladies Bronc Riding at Madison Square Garden and won her second World Championship in 1931.